As we settle into springtime with the sun hanging high in the sky and the cool wind dancing outside, Lake Lanier is calling out for you and your family or friends to come visit. The thought of sitting inside another minute while the sun has finally decided to show its face is probably torturous since you spent an entire season inside, which is why you need to gear up to go out onto Lake Lanier. If you’ve never had the opportunity to go out boating, then this is your chance to spend an entire spring, summer, and fall enjoying Lake Lanier. A great boating club to join on Lake Lanier is Freedom Boat Club, a boating club that is located right on the lake in Buford. Freedom Boat Club allows you to take advantage of all of the opportunities of boating such as having access to any type of speed or pontoon boat without all of the maintenance, winterizing, and upkeep. Freedom Boat Club is a great alternative to owning your own boat. If you are a first time boater and are looking for some tips on boating and some first time boater information, read Boating Safety Tips For Spring – Part One, Part Two, What To Bring Boating With You, Tips For First Time Boaters – Part One, and Tips For First Time Boaters – Part Two. If you’ve never gone boating, then it’s important that you take the time to educate yourself about boating and the benefits of joining a boating club. 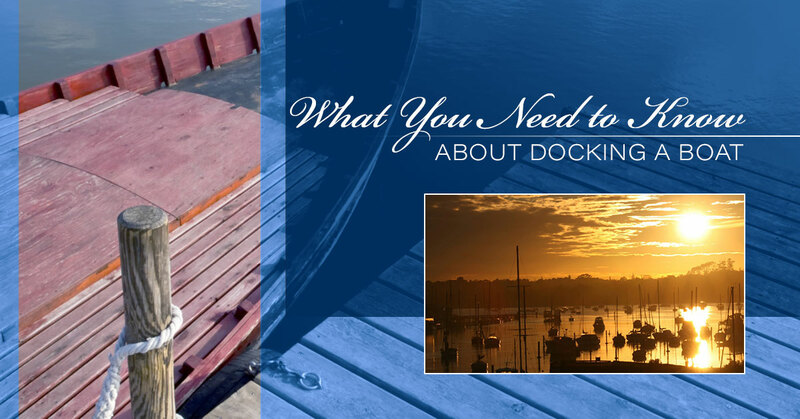 In today’s blog post, we’ll be going over what you need to know about docking a boat. If you are a first time boater, then you’ve probably never had the opportunity to dock a boat and have no idea what to do. Don’t worry! By the end of this blog post, you’ll be able to dock a boat the next time you head out on one of our boats at our boating club. So, you’ve read everything you need to about boating and you’re still nervous about taking a boat out onto Lake Lanier. Don’t worry, with our guidance you’ll be able to dock a boat and enhance your skills on how to dock one properly. There are some basics to docking a boat that you’ll need to keep in mind when you head out onto Lake Lanier, which we’ll list below, but first, we’ll provide you with some steps on docking a boat so you’re able to appropriately pull it into a slip. Remember, that each boat is different and should be treated differently. If you have a larger boat with many engines, it’s going to be treated differently than one that only has one engine. The boats we offer at our boating club are speed boats and pontoon boats, which are much easier to dock than a larger boating vessel. When you are docking a boat, remember if you start to feel panicky and anxious, our professional employees will be able to help you with anything you need. Consider when you are docking a boat, it might be scary initially, but when you breathe deeply and remain calm you’ll be able to dock the boat steadily and even amaze yourself. The stern will move first. Treating a boat like a car might be a good idea for the first time boater because when you pull into a parking spot you do so slowly because you know how your car moves. When you turn the wheel of your boat a certain way such as to the right, then the bow will turn right as well. Drill the way the boat moves into your mind, so you don’t have to worry about what way the boat will move when you turn it a certain way. The stern is always the one in control. In addition, when you’re docking the boat you should forget about the throttle. The throttle should be put on its lowest setting, which is something you need to remember. To help you remember, consider marking the throttle so you know to keep it very low. Similarly to when you parallel park, when you align your boat up to the dock it would be much more beneficial than pulling into a spot. You might want to angle into the spot, but the best way to treat your boat is by pulling parallel to the spot so you can move into it. Once you’ve come up parallel to the dock, you can put the helm away so as not to collide with anything. The trick is going slowly into the spot, then putting it into neutral, followed by putting it into reverse, and lastly putting it back into neutral. When you follow this procedure and repeat it a few times you’re able to move the boat in a gentle fashion into the slip. If your boat is starboard, then turn the wheel to the port or if it’s portside, then vice versa. If you have no idea what starboard or portside is, then read Glossary Of Boating Terms – Part One, Part Two, and Part Three. By simply maneuvering your boat into the dock gently, you’ll be amazed at how effortless it seems. When you move the boat forward a smidge and then reverse it just as smoothly, you’ll see how easily your boat moves into the slip. When it comes to the elements of the day, however, you’ll need to be a little bit more prepared if there is wind. Wind when boating always makes a difference. For instance, it can make the water choppy, it can cut a day short due to the chills, and it can mess up how you move your boat into the slip. If it’s windy, it will make moving your boat a little bit more difficult to do. If you feel the wind pushing you in different directions that you don’t want to be in, then use the bow thruster to even out. If you have a boat with a cabin it might also be helpful to open up all of the windows. When you are docking a boat there are some basic elements that you need to remember to ensure you have a smooth docking experience. Driving a boat for the first time is a little like driving a car for the first time because there are so many buttons etc. that you may have no idea what to do. This is why it’s beneficial to go slowly in and out of the dock as well as when you are around other boats. One of the basics that you need to keep in mind is the importance of going slowly. Doing so will help you understand how to move the boat. It will also allow you to move out of the way if something were to happen and to not bump the boat into the dock by going too quickly. When you’re a first time boater and even if you’re a pro, going slowly is able to save a lot of heartache and deter from an emergency happening. The second basic to remember is that you need to understand how your boat moves when in reverse and in forward. When you know how your boat will react to you going forward or backward, you’ll be able to dock more correctly and use the window and currents to your advantage. The third basic is how to use the window and currents to your advantage. It might be scary at first to be pulled in one direction due to the wind, but when you get used to the window and currents pushing and pulling you, you’ll learn how to accurately move your boat with the currents and winds. As a first time boater, if you’re looking to avoid the wind and possible choppy water check out the weather to plan your trip properly. If you’re interested in taking out a boat from Freedom Boat Club we have an abundance to choose from.